Earlier this month, the FCC issued a Notice of Apparent Liability for Forfeiture (“NAL”) against a Texas licensee for operating three broadcast auxiliary services (“BAS”) stations without authorizations and operating an additional six BAS stations at variance with their respective authorizations. The FCC noted that it was taking this enforcement action because it has a duty to prevent unlicensed radio operations from potentially interfering with authorized radio communications in the United States and to ensure the efficient administration and management of wireless radio frequencies. Section 301 of the Communications Act provides that “[n]o person shall use or operate any apparatus for the transmission of energy of communications or signals by radio . . . except under and in accordance with this Act and with a license in that behalf granted under the provisions of the Act.” In addition, Section 1.947(a) of the FCC’s Rules specifies that major modifications to BAS licenses require prior FCC approval, and Section 1.929(d)(1) provides that changes to BAS television coordinates, frequency, bandwidth, antenna height, and emission type (the types of changes the licensee made in this case) are major modifications. The base fine for operating a station without FCC authority is $10,000 and the base fine for unauthorized emissions, using an unauthorized frequency, and construction or operation at an unauthorized location, is $4,000. In April 2013, the licensee submitted applications for three new “as built” BAS facilities and six modified facilities. The modifications pertained to updates to the licensed locations of some of the licensee’s transmit/receive sites to reflect the as-built locations, changes to authorized frequencies, and recharacterization of sites from analog to digital. The licensee disclosed the three unauthorized stations and six stations operating at variance from their authorizations in these April 2013 applications. As a result of the licensee’s disclosures, the Wireless Telecommunications Bureau referred the matter to the Enforcement Bureau (the “Bureau”) for investigation. In November 2013, the Bureau’s Spectrum Enforcement Division instructed the licensee to submit a sworn written response to a series of questions about its apparent unauthorized operations. The licensee replied to the Bureau in January 2014 and admitted that it operated the nine BAS facilities either without authorization or at variance with their authorizations. The licensee also admitted that it learned of the violations in May 2012 while conducting an audit of its BAS facilities. Finally, the licensee noted that it could not identify the precise dates when the violations occurred but that they had likely been ongoing for years and possibly since some of the stations were acquired in 1991 and 2001. The FCC concluded that the licensee had willfully and repeatedly violated the FCC’s rules and noted that the base fine amount was $54,000, comprised of $30,000 for the three unauthorized BAS stations and $24,000 for the six BAS stations not operating as authorized. The licensee had argued that a $4,000 base fine should apply to the three unauthorized BAS stations because the FCC had previously imposed a $4,000 fine for similar violations when the licensee had color of authority to operate the BAS stations pursuant to an existing license for its full-power station. The FCC rejected this argument and noted that its most recent enforcement actions applied a $10,000 base fine for unlicensed BAS operations even where the full-power station license was valid. The FCC concluded that the extended duration of the violations, including the continuing nature of the violations after the licensee became aware of the unlicensed and unauthorized operations, merited an upward adjustment of the proposed fine by $32,400. The FCC indicated that the licensee’s voluntary disclosure of the violations before the FCC began its investigation did not absolve the licensee of liability because of the licensee’s earlier awareness of the violations and the extended duration of the violations. The FCC therefore proposed a total fine of $86,400. The Chief of the Video Division of the FCC’s Media Bureau issued an NAL against a California licensee for failing to properly identify educational children’s programming through display on the television screen of the “E/I” symbol. The Children’s Television Act of 1990 introduced an obligation for television broadcast licensees to offer programming that meets the educational and informational needs of children (“Core Programming”). Section 73.671(c)(5) of the FCC’s Rules expands on this obligation by requiring that broadcasters identify Core Programming by displaying the “E/I” symbol on the television screen throughout the program. The licensee filed its license renewal application on August 1, 2014. The licensee certified in the application that it had not identified each Core program at the beginning of each program and had failed to properly display the “E/I” symbol during educational children’s programming aired on a Korean-language digital multicast channel. In September 2014, the licensee amended its license renewal application to specify the time period when the “E/I” symbol was not used and two days later amended the renewal application again to state that it had encountered similar issues with displaying the “E/I” symbol on the station’s Chinese-language digital multicast channel. In this proceeding, we consider the measures discussed in the Incentive Auction Report and Order, other measures to ensure the successful completion of the LPTV and TV translator digital transition and to help preserve the important services LPTV and TV translator stations provide, and other related matters. Specifically, we tentatively conclude that we should: (1) extend the September 1, 2015 digital transition deadline for LPTV and TV translator stations; (2) adopt rules to allow channel sharing by and between LPTV and TV translator stations; and (3) create a “digital-to-digital replacement translator” service for full power stations that experience losses in their pre-auction service areas. We also seek comment on: (1) our proposed use of the incentive auction optimization model to assist LPTV and TV translator stations displaced by the auction and repacking process to identify new channels; (2) whether to permit digital LPTV stations to operate analog FM radio-type services on an ancillary or supplementary basis; and (3) whether to eliminate the requirement in section 15.117(b) of our rules that TV receivers include analog tuners. We also invite input on any other measures we should consider to further mitigate the impact of the auction and repacking process on LPTV and TV translator stations. While primarily focused on the future of the LPTV and TV translator services, the NPRM definitely includes some issues of interest to full-power TV stations as well, including the idea that repacking full-power stations may necessitate the construction of digital-to-digital translators to address situations where such stations “experience losses in their pre-auction service areas”. The extent to which the FCC may create such losses is of course one of the issues currently on appeal before the courts, but such losses might also result from stations voluntarily moving from UHF to VHF channels in the auction, or moving from a High VHF to a Low VHF channel. The FCC proposes to permit such translators only where a loss of service has occurred, and to limit such translators to replicating, rather than extending, a station’s prior coverage area. Another interesting issue for which the FCC is seeking input in the NPRM is whether to allow LPTV and TV translator stations to channel-share with full-power and Class A TV stations. That issue, as well as the proposal to allow Channel 6 LPTV stations to provide an analog FM audio service as an ancillary service, will make this a particularly interesting proceeding likely to attract lots of comments. The comment dates have not yet been set, but Comments will be due 30 days after the NPRM is published in the Federal Register, with Reply Comments due 15 days after that. Those operating LPTV and TV translator stations will no doubt be happy to see that the FCC is taking steps to “mitigate the potential impact of the incentive auction and the repacking process on LPTV and TV translator stations,” but the many issues covered by the NPRM make clear that, for many of these stations, it will definitely be an uphill climb. 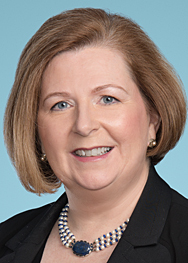 In a post today on the FCC’s Blog, Diane Cornell, Special Counsel to Chairman Wheeler, described the FCC’s efforts to reduce backlogs of applications, complaints, and other proceedings pending at the FCC. The post announces that the Consumer and Governmental Affairs Bureau has closed 760 docketed proceedings, and is on track to close another 750 by the end of the year. The post also indicates that the FCC’s Wireless Bureau resolved 2046 applications older than six months, reducing the backlog of applications by 26%. Of particular interest to broadcasters, however, is the news that the “Enforcement Bureau has largely completed its review of pending complaints, clearing the way for the Media Bureau to grant almost 700 license renewals this week.” Many of these pending complaints were presumably based on indecency claims, which have in recent years created such a backlog of license renewal applications (particularly for TV stations) that it has not been unusual for a station to have multiple license renewal applications pending at the FCC, even though such applications are only filed every eight years. While indecency and other complaints will certainly continue to arrive at the FCC in large numbers given the ease of filing them in the Internet age, today’s news brings hope that most of them will be addressed quickly, and that long-pending license renewal applications will become a rarity at the FCC. That would be welcome news for broadcasters, who frequently found that the application delays caused by such complaints were far worse than any fine the FCC might levy. Such delays were particularly galling in the many cases where the focus of the complaint was content wildly outside the FCC’s definition of indecency (“language or material that, in context, depicts or describes, in terms patently offensive as measured by contemporary community standards for the broadcast medium, sexual or excretory organs or activities“). For a number of years, complaints that merely used the word “indecent” were put in the “indecency complaint” stack, resulting in multi-year holds on that station’s FCC applications. I once worked on a case where a politician who had been criticized in a TV’s newscast for his performance in office filed an FCC complaint stating that the station’s comments about him were “indecent”. You guessed it; this exercise of a station’s First Amendment right to criticize a public official resulted in a hold being placed on the station’s FCC applications for years while the complaint sat at the FCC. The FCC’s efforts to eliminate these delays, and the inordinate leverage such delays gave to even the most frivolous complaints, are an excellent example of the FCC staff working to accomplish the Commission’s public interest mandate. While broadcasters may feel they have not have had many reasons to cheer the FCC in recent years, today’s announcement certainly merits some applause. In the U.S., jamming communications signals is illegal. Over the years, I’ve written a number of posts about the FCC’s persistent efforts to prevent jamming. Among these were fines and other actions taken against an Internet marketer of cell phone jamming devices; a variety of individuals and companies selling cell phone jamming devices through Craigslist; an employer attempting to block cell phone calls by its employees at work; a truck driver jamming GPS frequencies to prevent his employer from tracking his whereabouts; and an individual jamming the frequencies used by a shopping mall for its “mall cop” communications systems. In each of these cases, the FCC went after either the party selling the jamming device, or the user of that device. Normally, jammers work by overloading the frequency with a more powerful interfering signal, confusing the signal receiver or obliterating the lower-powered “authorized” signal entirely. Historically, jammers have often been individuals with a grudge or an employer/employee trying to get the electronic upper hand on the other. Wi-Fi is an essential on-ramp to the Internet. Wi-Fi networks have proliferated in places accessible to the public, such as restaurants, coffee shops, malls, train stations, hotels, airports, convention centers, and parks. Consumers also can establish their own Wi-Fi networks by using FCC-authorized mobile hotspots to connect Wi-Fi enabled devices to the Internet using their cellular data plans. The growing use of technologies that unlawfully block consumers from creating their own Wi-Fi networks via their personal hotspot devices unjustifiably prevents consumers from enjoying services they have paid for and stymies the convenience and innovation associated with Wi-Fi Internet access. In March 2013, the Commission received a complaint from an individual who had attended a function at the Gaylord Opryland. The complainant alleged that the Gaylord Opryland was “jamming mobile hotspots so that you can’t use them in the convention space.” Marriott has admitted that one or more of its employees used containment features of a Wi-Fi monitoring system at the Gaylord Opryland to prevent consumers from connecting to the Internet via their own personal Wi-Fi networks. The Bureau investigated this matter to assess Marriott’s compliance with Section 333 of the Act and has entered into the attached Consent Decree. To resolve the Bureau’s investigation, [the operator] is required, among other things, (i) to pay a $600,000 civil penalty to the United States Treasury, (ii) to develop and implement a compliance plan, and (iii) to submit periodic compliance and usage reports, including information documenting to the Bureau any use of containment functionalities of Wi-Fi monitoring systems, at any U.S. property that [it] manages or owns. Today’s Order makes clear that the FCC’s concerns about “signal jamming” are not limited to traditional brute force radio signal interference. In this case, the jamming was done by “the sending of de-authentication packets to Wi-Fi Internet access points.” Also of interest is that the FCC did not assert, as it often has in past jamming cases, that it was concerned about the impact of jamming communications on those in nearby public spaces. It appears that the “de-authentication” was limited to areas inside the hotel/convention center, and the FCC made clear that even this limited jamming was “unacceptable”. This is not the first time the FCC has exercised its authority in ways affecting the hospitality industry (for example, fining hotels because their in-house cable systems don’t comply with FCC signal leakage limits designed to protect aviation communications). 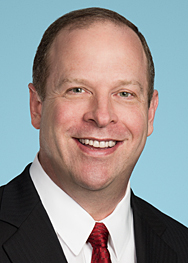 However, the FCC’s willingness to step in and regulate access to Wi-Fi on hotel property indicates that the FCC might be a growing influence on hotels’ business operations, particularly as hotels seek to make an increasing portion of their revenues from “guest fees” of various types, including for communications services. The Order indicates that the hotel here was charging anywhere from $250 to $1,000 per wireless access point for convention exhibitors and customers, providing a powerful incentive for the hotel to prevent parties from being able to sidestep those charges by setting up personal Wi-Fi hotspots. Figuring out ways to drive up demand for these hotel services is Business 101. Doing it in a way that doesn’t draw the FCC’s ire is an upper level class.